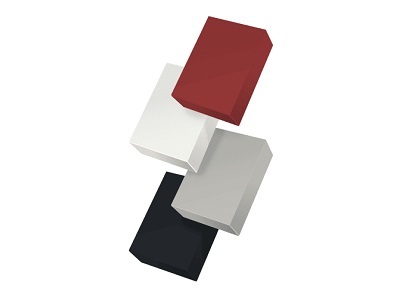 Discover the Corian® solid colour range with CASF Australia. With over 20 solid hue colours, the design possibilities are only limited by your imagination. Corian® Solid Surface is your chosen medium to create undulating, virtually seamless organic shapes in bold colours. Corian® offers greater design flexibility for kitchen benchtops in comparison to standard materials such as stone, stainless steel or laminate. Corian® is also ideal for making waterfall ends and drawer fronts, creating a singular monolithic object. Corian® can be shaped across complex curved joinery forms; when combined with the extensive colour palette, the material allows ambitious design concepts to be realised for high quality joinery and exhibition experiences. Smooth and silky to the touch and completely non-porous, Corian® Solid Surface will not warp, stain or promote the growth of mildew. The Corian® material can withstand the normal stresses and strains of public exposure; best of all, it can be restored to its original state in the event of wear and tear. Suitable for both small and large batch production runs, Corian® Solid Surface combines its high resistance to wear with unlimited design freedom to maintain brand impact. The seamless, non-porous qualities of Corian® allow the material to be custom designed into free-flowing curves for both vertical and horizontal applications, delivering a contemporary finish to designs. Non-porous, stain-resistant and durable, Corian® Solid Surface is easy to clean and maintain and resists the growth of mould, mildew and bacteria. Together with the seamless finish and contemporary look of Corian®, the vast colour palette helps create a distinct identity in each application. Custom colours are also available, should your design require an even more personalised touch.